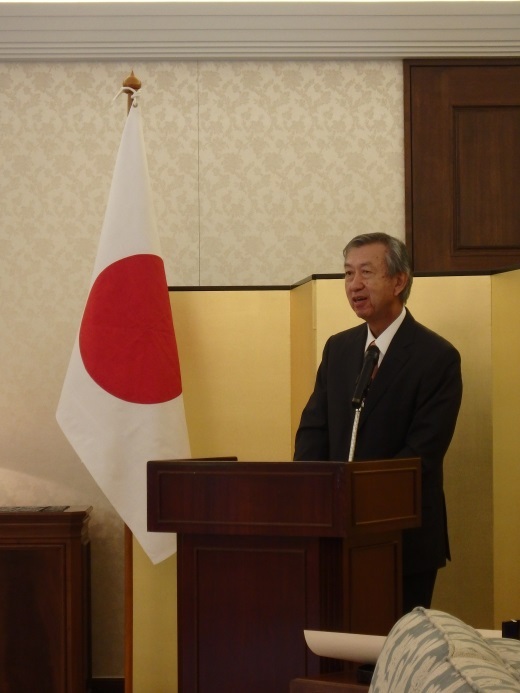 On December 1, The Conferment Ceremony of 2015 Autumn Imperial Decorations for foreign recipients was held at the Japanese Ambassador’s Residence. 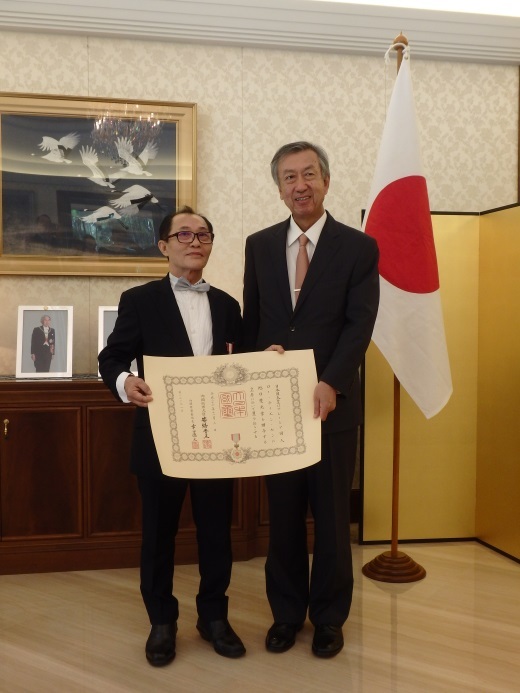 Mr Low Thian Seng received the Imperial decoration “Order of the Rising Sun, Gold and Silver Rays”. 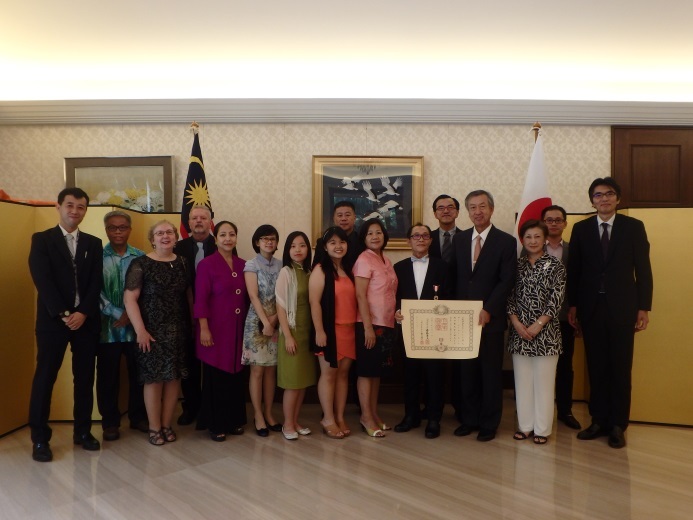 Mr Low has played a central role in the establishment of the Malaysia Aikido Association in 1993 and has been the President of them since 2005. 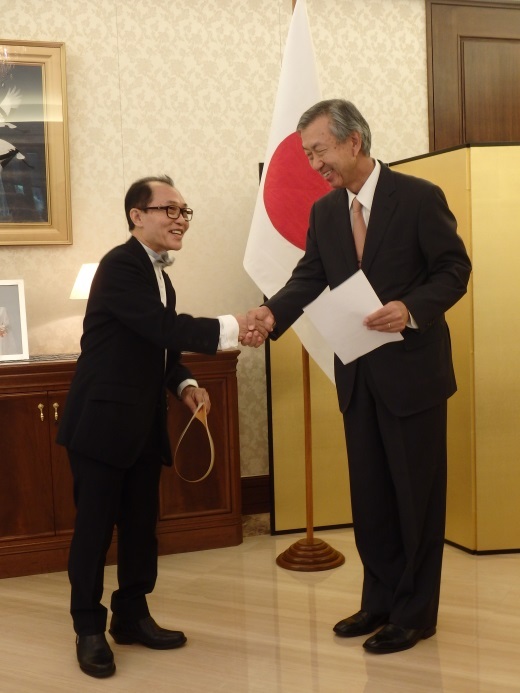 He was conferred in recognition of his long standing contributions to the promotion of bilateral relations between Japan and Malaysia through Aikido.